20th August 2018, Noida, India – Startupcenter has launched its tailor made Workshops for Startups and SMEs. Startups eco system is ripe in India with many from all age groups plunging head on .Startupcenter has identified its Startup niche in “Mid Level stagnated and Mid Age crisis Corporate Executives who want to start their Startup with their domain/idea but do not know where and how to proceed, pivot /vet their business models, prepare a Business Plan, get Technology outsouring help and even get access to Angel funding. 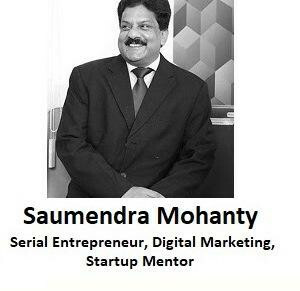 Startupcenter faculty has as average experience of over 25 years in Serial Entrepreneurship, Technology, Business Plan, Digital Marketing and access to Angel Funding. Startupcenter targets the Management and Technology Institutes to mentor the budding Startups to take the right direction, they teach from their rich domain, industry and startup experience. Digital Marketing is a key tool for Startups who are cash starved and yet they need to tell their story, build brand, get customers. Startupcenter takes courses in all relevant field of Startups starting from Technology, strategy and digital marketing .Experts take courses in their relevant fields and some of the top startups are introduced to Angel Investors.